Your vision, your pace, Bayforce expertise. Tiered services let your organization set the pace of your Lightning Migration. At the time of its official debut in 2015, Lightning focused only on the core features of the Sales Cloud and didn’t include many of the features that customers relied upon in Classic. That has all changed. Fast forward to today and the focus of Salesforce’s innovation is on Lightning Experience. Lightning’s set of slick, modern user interfaces (UIs) are optimized to help users make faster decisions and take quicker actions, and are highly flexible with a vast array of different widgets to add sought-after nuances and customization to what users see. With each new release, incentives to switch from Classic to Lightning Experience are piling up. 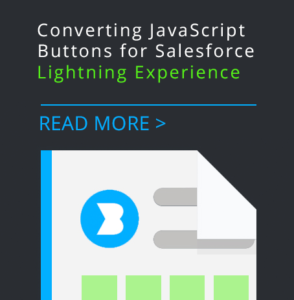 Migrating to Lightning Experience is a smart investment, but for organizations with a mature Salesforce instance, there’s a lot of work to do. That’s where Bayforce can help. As a Certified Salesforce Consulting Partner with over 20+ years of successful engagements, Bayforce brings an unmatched depth of experience to your organization’s Lightning Migration. Our Salesforce subject matter experts are always on the leading edge, designing state of the art solutions to meet the business objectives of SMBs to Fortune-ranked enterprises. Tiered Services: What Level is Right for You? 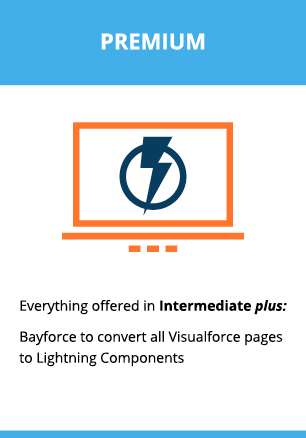 You set the pace, Bayforce will bring the expertise to help your organization migrate to Lightning Experience. Our expertise is an invaluable resource, providing ease of mind when reviewing and understanding your Lightning Readiness Assessment and determining the right path forward for your Salesforce instance—and your organization. 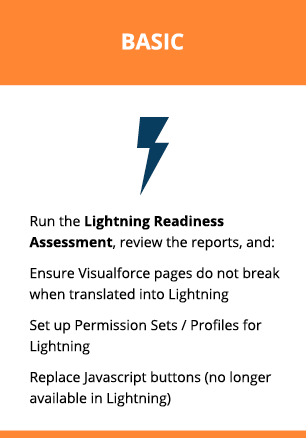 Whether you are looking for a Basic Lighting migration focused on providing and actioning a Lightning Readiness Assessment for your Salesforce instance by reviewing the reports and addressing required items, or whether you are looking for a more advanced Lightning migration including rethinking the look and feel of your instance or replacing all of your Visualforce pages to Lightning components–Bayforce can help you. Your vision, your pace, our expertise. A Lightning Experience migration is not a trivial task, especially for enterprise clients with a mature Salesforce instance. Bayforce expertise provides invaluable expertise at just the right level: you remain in control, but leverage unparalleled experience to get the job done right the first time.